Although I’m part Irish, I grew up in Hawai’i where St. Patrick’s Day is not really celebrated much. I never thought that much about St. Patrick’s Day until I had children. 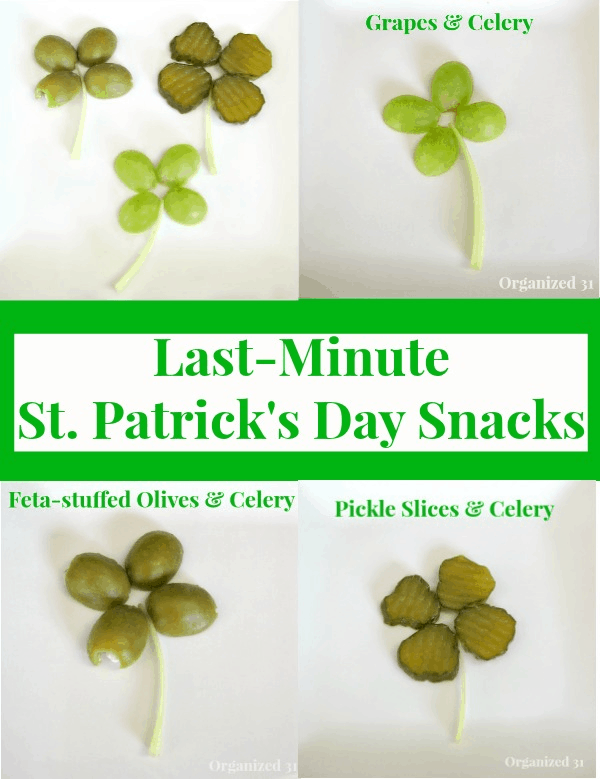 Now days I try to find small, fun ways to celebrate the day, like these quick and easy St. Patrick’s Day Snacks. 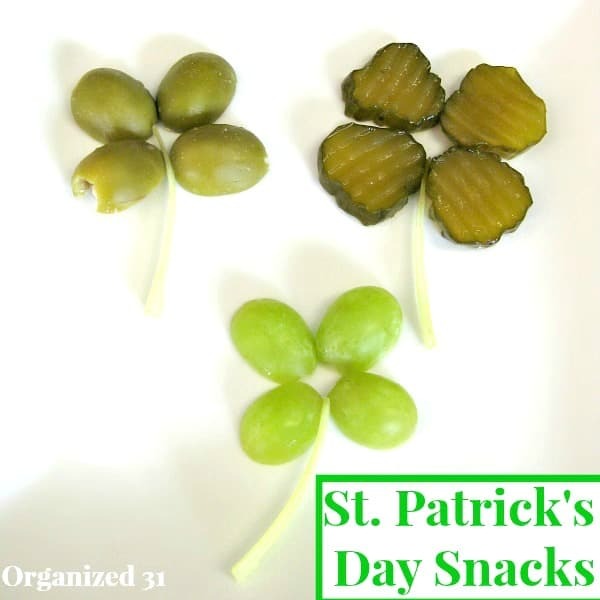 These shamrock-shaped snacks are cute and you probably already have most of these items in your house. If you don’t snack as you’re making these treats, it should take you less than 5 minutes to make a plate of shamrock snacks. 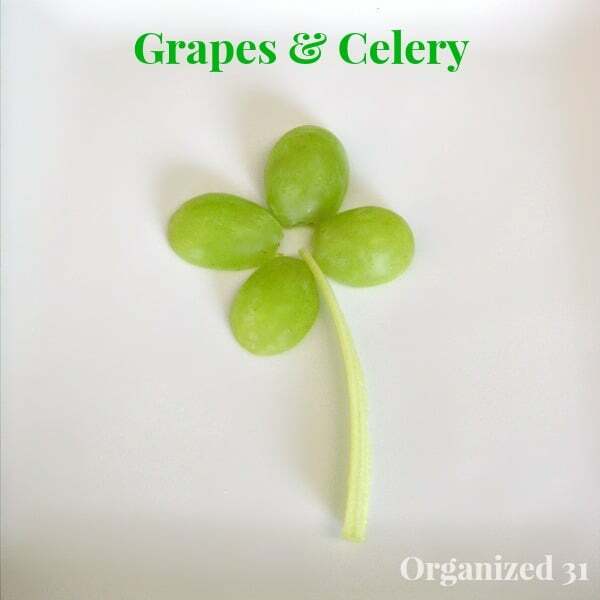 Cut the green grapes in half long ways and add a thin slice of celery to make the stem of the shamrock. 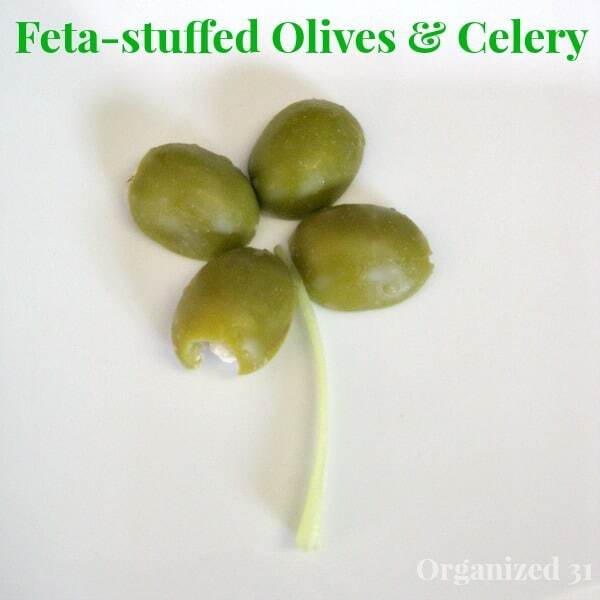 Cut the olives in half long ways and add a thin slice of celery to make the stem. This time you don’t even have to slice anything other than the thin piece of celery. 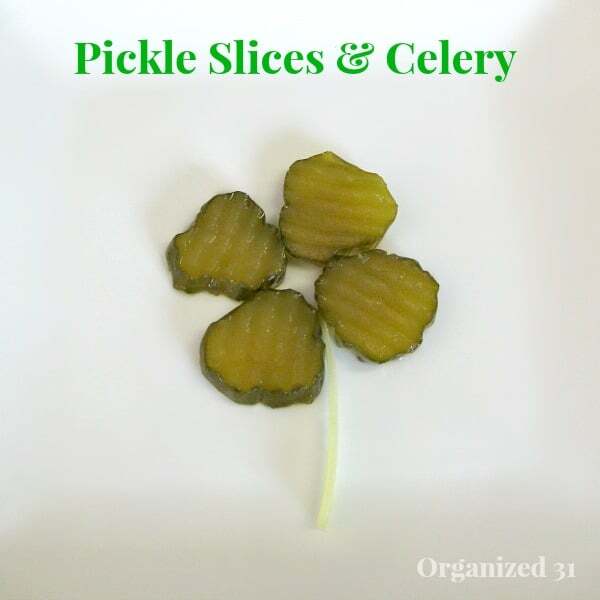 Just lay 4 pickles slices that are about the same size out to form the leaves of the shamrock. While these are quick and easy St. Patrick’s Day snacks, they’re so cute, no one will realize that you whipped them up at the last minute. Enjoy! So fun! My kids would have blast making these, or they would be good for a classroom party. This is exactly why I love this site so much–these are totally adorable AND within my abilities! I can’t wait to whip up some decorative clovers for our St. Patrick’s day meals. Thank you!